JINGLE BELLS AT THE READY!! We know it is early but we’re doing the Elf and Reindeer schemes again this Christmas as they create lots of smiles, but we need YOUR help. 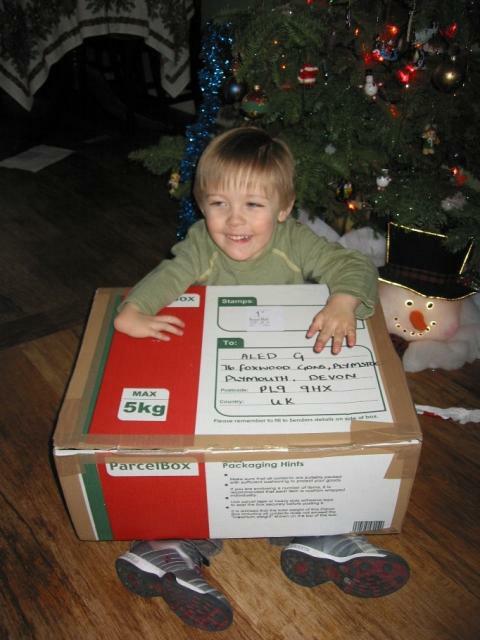 Could you use your imagination, send a Christmas card or do a ‘shoe box’ of smiles? Maria is being the “Head Reindeer” once again. A Reindeer is someone who is assigned a Pal and their siblings and sends 9 cards during the month of December, one from each reindeer, talking from the reindeers perspective i.e. talking about the sleigh getting full, getting ready for the big night, loving carrots being left out etc. It is not only fun for the children receiving the cards, but also for the volunteers getting to do imaginative writing. In the past one girl believed the reindeer wrote to them as she helped look after her disabled brother. Another little boy was very relieved as Father Christmas definitely knew he was in hospital so wouldn’t be missed out. Kim is being our “Head Elf” once again. She will assign an Elf (volunteer) to every child and the elf then gathers gifts up to the value of £15 and sends them in December. It is a little like the Christmas shoe box appeals we are all familiar with. Anyone of any age can be an elf, whether it’s little children picking gifts which they think someone their age would like, or adults who now have a good excuse to buy that pink fluffy present! We like to assign 2 Elves to every child as in the past people have committed to being an Elf but then not sent anything (or let us know they couldn’t continue) so that means we have lots of volunteers to find! If you would like to volunteer to be an Elf please send an email to Kim at postpalsmonthlyprojects@hotmail.co.uk and include how many children you would like to be an Elf to, and any requirements i.e. a young girl. We have a particular problem finding volunteers for teenage boys so if you would be happy to take one on please let Kim know. Reindeers (volunteers) are assigned to a young child and their siblings and during December they send a card from each of Santa’s reindeer, talking about anything from loving it when carrots are left out or how full the sleigh is getting. It is great fun to use your imagination and the children really enjoy it, one boy was so relieved as it meant santa definitely knew he was in hospital at Christmas and another girl thought the reindeer wrote to them as she was good in helping her mum look after her disabled brother. The elf scheme is another project, a little like the Shoe Box appeal we all know. You’re assigned a child and you have a read their page to get to know them. Then you gather up gifts to the value of £15 and send them off to the child in December. Post Pals needs to find lots of volunteers for this so please spread the world about how to make a difference this Christmas.